When you’re 100 per cent serious about winning in the dirt, the choice is clear: your future is with Yamaha. That’s because we've been building some of the world’s most successful off-road racing bikes for nearly 40 years. Yamaha’s YZ racing models offer the most competitive engine and chassis packages, plus class-leading technologies and legendary build quality. Our off-road success story didn’t just happen by chance. Yamaha’s long list of World and National Championships in motocross and enduro is the result of years of commitment and devotion by our engineers and factory riders. Indeed, the will to win is an integral part of Yamaha’s DNA. visual Lightweight aluminium frame The YZ250F’s Bilateral Beam aluminium frame is optimised for its 250cc engine. Components have been positioned to centralise mass, for lighter handling and stability. The bike turns more sharply into, and accelerates more quickly out of, corners. Extremely rigid, it provides greater rider feedback, transferring sideways shocks to the suspension. 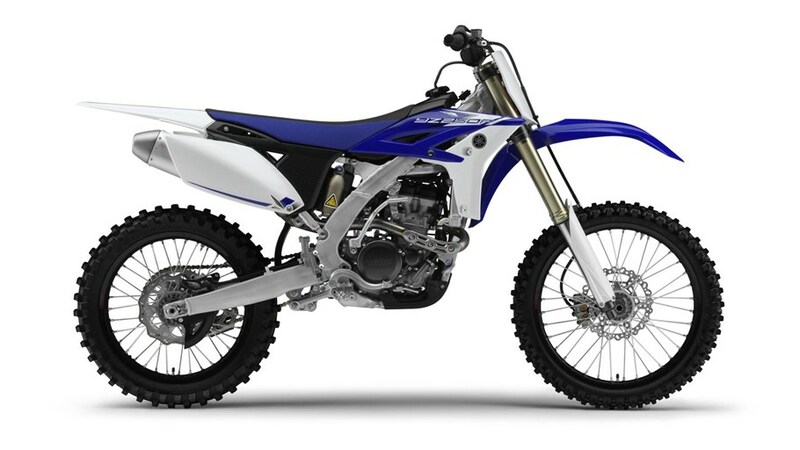 visual Refined engine The YZ250F’s 5-valve 4-stroke DOHC engine offers improved power and responsiveness at mid- and high-speed, while lighter pistons are used to keep weight to a minimum. Optimised spring-rates for the intake/exhaust valves and new carburettor settings result in more linear power delivery through the rev-range and better rider control. visual Long-stroke suspension The YZ250F’s front suspension, with a long stroke of 300 mm, provides perfect levels of traction and road-feel during cornering. Rear suspension has been optimised to cushion over bumps – for a smoother ride over rough terrain. visual Adjustable Handlebars YZ250F's handlebars are adjustable in four steps, giving the rider flexibility to set the handlebar position according to their preference or to suit the conditions of an off-road course. 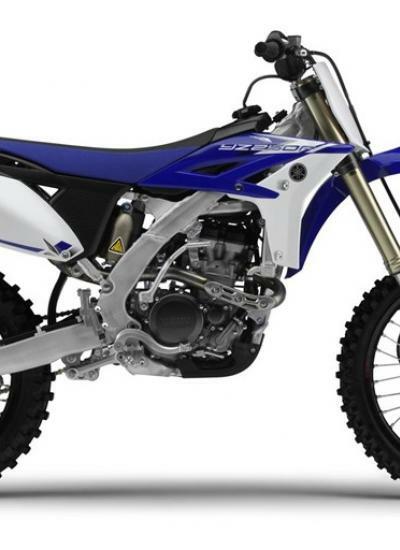 visual New body styling The YZ250F’s lightweight and agile performance is matched in its styling. The surface area of parts has been kept to a minimum, creating a compact and dynamic dart-like shape. Even after heavy use, the YZ250F will retain its stunning looks throughout its life. visual Flat seat with more comfort Combining grip and ease of sliding, the seat’s surface material allows a rider to comfortably shift bodyweight to control the bike. While high-quality sponge offers improved comfort, a special texture helps prevent the surface grain from clogging with sand or mud – ensuring constant levels of grip and also reducing the build-up of dirt.